The development of a quantifiable and noninvasive method of monitoring disease activity and response to therapy is vital for arthritis management. 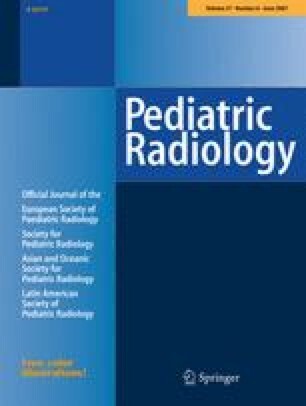 The purpose of this study was to investigate the utility of quantitative dynamic contrast-enhanced MRI (DCE-MRI) based on pharmacokinetic (PK) modeling to evaluate disease activity in the knee and correlate the results with the clinical assessment in children with juvenile idiopathic arthritis (JIA). A group of 17 children with JIA underwent longitudinal clinical and laboratory assessment and DCE-MRI of the knee at enrollment, 3 months, and 12 months. A PK model was employed using MRI signal enhancement data to give three parameters, Ktrans ′ (min−1), kep (min−1), and Vp ′ and to calculate synovial volume. The PK parameters, synovial volumes, and clinical and laboratory assessments in most children were significantly decreased (P < 0.05) at 12 months when compared to the enrollment values. There was excellent correlation between the PK and synovial volume and the clinical and laboratory assessments. Differences in MR and clinical parameter values in individual subjects illustrate persistent synovitis when in clinical remission. A decrease in PK parameter values obtained from DCE-MRI in children with JIA likely reflects diminution of disease activity. This technique may be used as an objective follow-up measure of therapeutic efficacy in patients with JIA. 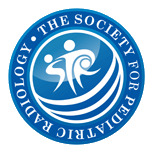 MR imaging can detect persistent synovitis in patients considered to be in clinical remission. B.J. Dardzinski, T. Laor, and T.B. Graham acknowledge funding from the Arthritis Foundation, a Cincinnati Children’s Hospital Trustees grant, and NIH grants P30 AR47363-01 and P60 AR47784-01.